Glass replacement gives new life to good window and door frames. It is faster, cheaper, and easier, without the hassle of matching existing window frames. Also known as reglazing, glass replacement involves removing damaged glass and installing a newly manufactured unit (disposal is included in our installation). The process is similar whether for foggy glass door repair or a broken window. Find the right product for your budget, faster. Get expert help and see product samples in person. 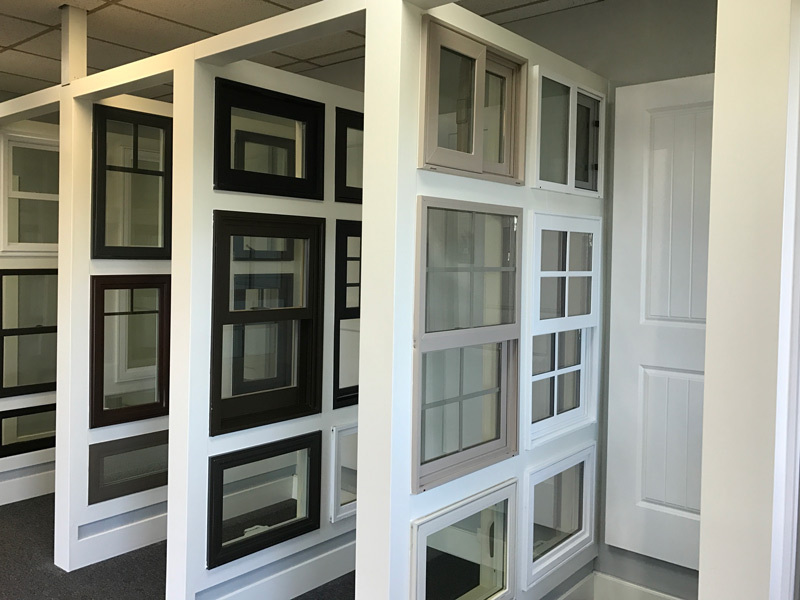 Popular windows and doors are always on display, along with glass and color samples. What is wrong with your glass? 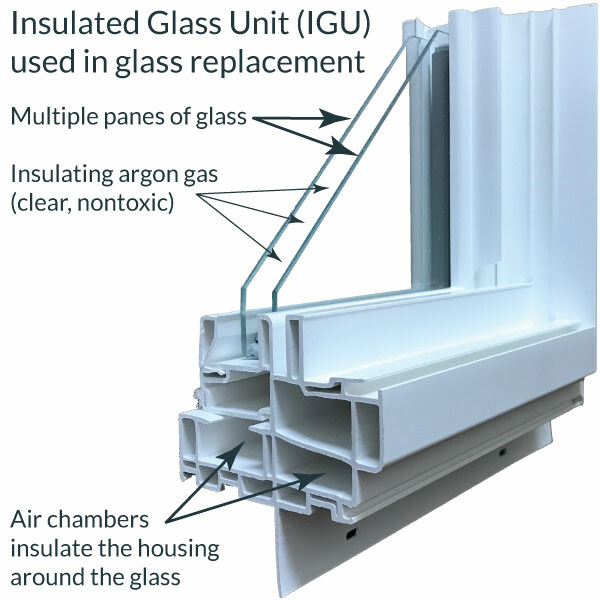 In order to insulate as designed, glass in double-pane windows relies on pressurized vacuum (or a dense, inert gas like argon) sealed inside the glass. When the seal fails around double-pane glass, air and water get inside, resulting in a foggy or hazy appearance. Once air gets inside the glass, its insulation performance also suffers. To restore a window or door’s energy efficiency, and to get rid of foggy appearance, replace the insulated glass unit with a newly manufactured unit. Otherwise, the window (or door) tends to fog up seasonally, increase visible mineral buildup, and insulate less effectively. Upgrading to double-pane windows can make your home much more comfortable. We also offer several options for energy-efficient glass. Tell us about your goals, and find out what’s right for you! Low-e glass reflects UV and infrared radiation and makes your windows more energy efficient. It also helps protect your interior from sun damage. Get what you need to make an informed decision, and make the best choice for your home. Our knowledgeable salespeople can answer whatever questions you have about both product and installation. We never use subcontractors, only our own dedicated installation crews. Our installers are professionals. They take pride in their work, clean up after themselves, and don’t cut corners. Enjoy a 10-year, transferable warranty on our window installation labor, an extra layer of protection beyond the manufacturer’s product warranties.